Sign up and receive Property Email Alerts of Houses for sale in Constantia, Cape Town. 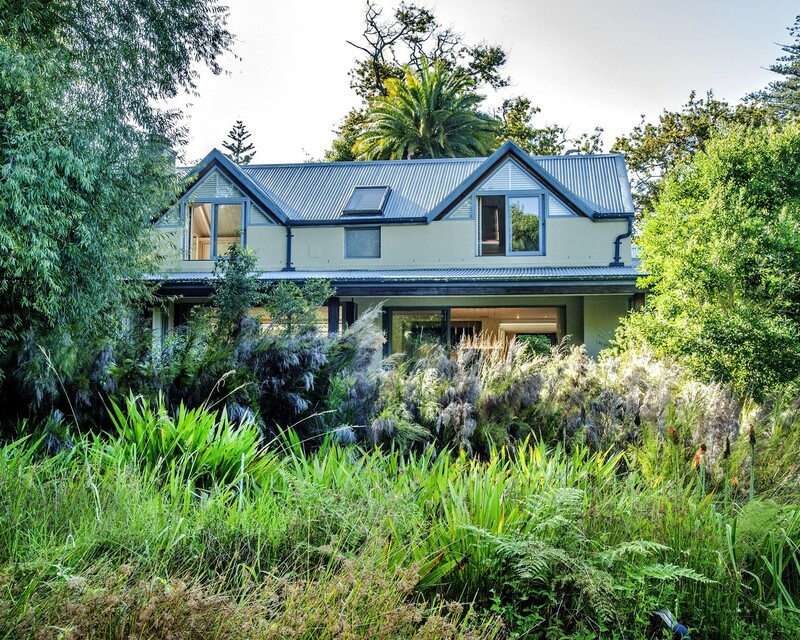 This beautiful home is set in a magical paradise with a game farm ambiance, along a tinkling stream flowing through reeds and gently swaying trees. Sensational views will entrance and delight you with the changing scenes of Mother Nature's canvass as the sun sets at the end of a long day whilst you unwind with a sundowner on one of the patios overlooking this magnificent setting. Luxurious receptions include an open plan lounge, dining and family rooms plus a separate family room - all with stacking glass doors framing the surrounding views. The ability to separate each room or enjoy the open plan feel is created with folding doors. The beautifully designed kitchen has a dine-in space opening out to a patio, a central island, electric hob, free-standing gas stove, double eye-level oven plus a separate scullery. The sumptuous main en-suite, on the ground floor, offers stunning forest like surroundings and a lovely bathroom with double vanity, free-standing bath, in-door and out-door showers and glass sliders to the private atrium gardens. Two further bedrooms plus a family bathroom complete the upstairs bedroom wing. Double garaging space with an upstairs work from home space / teen pad / studio plus a staff bathroom. The supreme security of this exclusive estate will give you complete peace of mind and lock up and go ability. We look forward to showing you this unique home offering a symphony of classical elegance and modern convenience designed to cater for every need whilst soothing the soul with its tranquil essence. Magnificent surroundings, parks, Sunday drives to nearby beaches, gorgeous green belt strolls / cycles, world class golf courses and wine estates with signature restaurants, including Constantia Uitsig, Groot Constantia, Beau Constantia, Buitenverwachting, Klein Constantia, Steenberg and Eagles Nest will allow you to enjoy the Constantia lifestyle to the fullest. This home is centrally located with easy access to the CBD; Cape Town International Airport; Constantia and Steenberg Village Shopping Centres, Cavendish and Blue Route Shopping Malls; Virgin Active Gym and Constantia sports grounds. Sign-up and receive Property Email Alerts of Houses for sale in Constantia, Cape Town.